July 5, 2016 By JRL, Esq. Welcome to the third installment of our three-part series regarding estate planning for digital assets. In this post we take a look at a couple steps you want to take to properly plan for your digital assets. Despite the uncertainties and obstacles discussed in Part II, there are a few reasonable steps you may take to both transfer and protect digital assets. 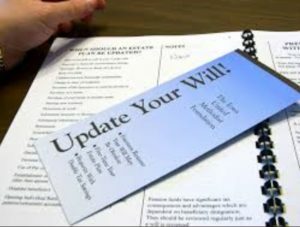 First, you should consider updating your estate planning documents if they do not contain a clause commonly referred to as a “Digital Asset Clause.” We have started including such a clause in our estate planning documents in order to give your successor trustee, executor, or attorney-in-fact use, control, and generally broad access to your digital accounts, social media, information stored electronically, etc. If your estate planning documents do not contain such a clause, you will want to consider having them updated. 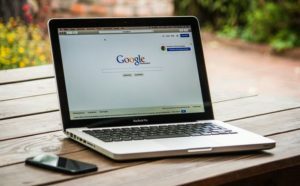 It is generally true that these clauses have not yet been tested, or may face obstacles when it comes to licensing agreements of the companies providing the digital services. Nevertheless, there is no real downside to including the digital asset clauses, as such may provide a court the basis for granting an order specifically giving access to those assets. Or such a clause may encourage a service provider to provide access to your accounts. Also, you should consider giving a specific bequest of loyalty program benefits, such as hotel points or airline miles, to beneficiaries. However, the particular airline or hotel chain may have certain rules that come into play. If you are curious, you may want to check with your program provider regarding how your program benefits can be passed to a beneficiary. Second, and perhaps most important, you should let your executor or successor trustee know about your various digital assets and how to access them if needed. You don’t necessarily need to give them all of your passwords now. However, it would be a good idea to inform them where you have online accounts, as well as giving them the ability to access passwords if needed. You could list all of your digital assets in an inventory, for example. There are also services like LastPass, where you can store all of your passwords, which can then be accessed with one password. But if you decide to simply make your own list of passwords, it is important to keep the list in a safe place, but still give your chosen fiduciary the ability to access that list. You will also need to remember to keep the list up to date. Also, keep in mind that handing over a list of your usernames and/or passwords may be a violation of a digital service provider’s service agreement. When it comes to your family photos, even if you store them on a cloud-based service, it is still a good idea to back them up on a physical storage medium such as a CD or thumb drive. Third, take the necessary steps to protect your privacy. Unlike a will that is probated, a revocable trust does not automatically become a public document. So under normal circumstances, a trust provides more privacy than does a will. So in particular, if a particular frequent flyer account or hotel points account is referenced in your estate planning document, a revocable living trust would be preferable. Also, if possible, you may want to consolidate and reduce the number of accounts. This way, your executor or successor trustee will have fewer accounts to deal with. In addition, if you’ve set up all of your automatic bill payments from one account, your executor or successor trustee can always close that one account in order to stop any unwanted bill payments. As the online world of digital assets becomes a larger and larger part of our lives, doing what we can to prepare for their access and transfer is becoming a more important concern. Our estate planning documents have traditionally focused on who gets the jewelry and how your house is to be distributed. This will still be an important part of any estate plan. However, accessing online accounts and other digital assets should also now be a consideration in your estate planning documents.